Holden's Bottling is pleased to announce we have gained SALSA accreditation. 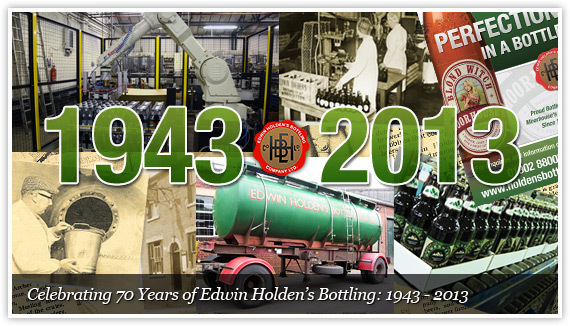 Established in 1943, we have continued to provide a quality service to the UK brewing and drinks industries. Ideally placed in the West Midlands, we have a strong locational advantage for all of the UK for both delivery and distribution of products. 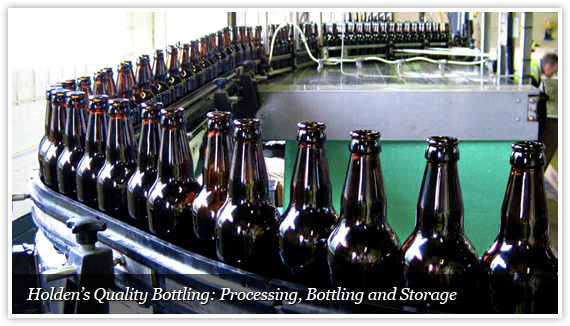 All our facilities are based on one site in Dudley where we undertake processing, bottling and storage. to allow loads of varying qualities and quantities. Flexible bottling lines for all your glass bottling needs, we currently handle beer, cider and carbonated soft drinks on volumes of 12 barrels and above. 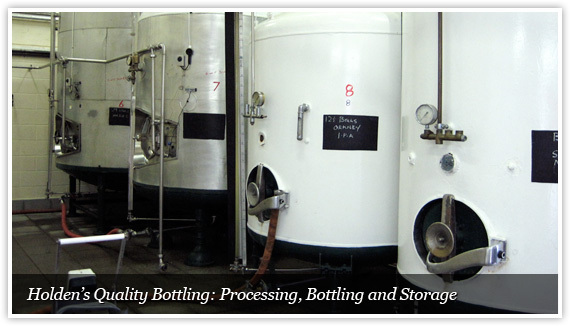 Recently updated facilities to prepare products for bottling. Comprehensive warehouse storage for your bottled products. Check out our new website header and our 70th Birthday Present - Kawasaki Robot Palletising Cell!